There's no doubt that velvet is one of the most celebrated fabrics this season. While it's always present during these months, this time around it's not all about formally dressing it up or wearing it strictly for the holiday parties to come—the luxe texture is also great for everyday outfits as well. Case in point: this laid-back look with flared velvet pants. 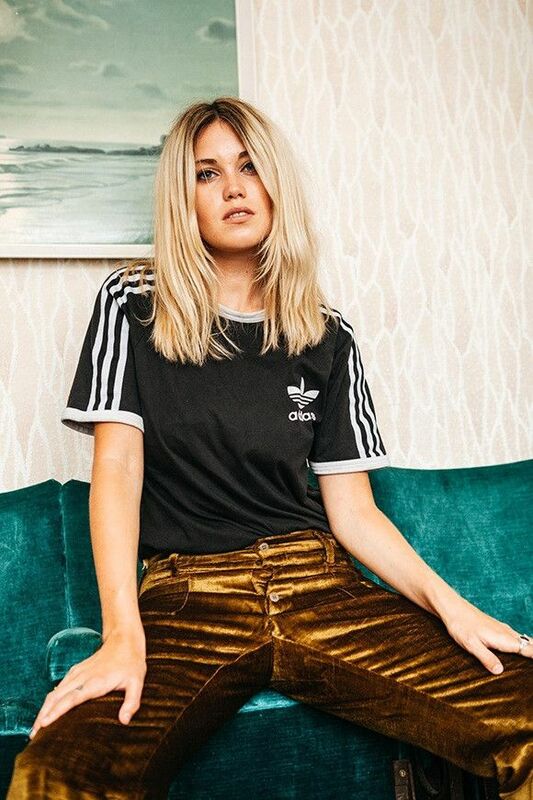 The essential piece in pulling off this cool ensemble is a sporty T-shirt, such as the model's Adidas tee, which, as it turns out, is actually a whole other trend itself. Juxtaposing the striped-sleeve tee with the crushed velvet helps to turn the otherwise elevated pants into a more down to earth outfit that we can see ourselves wearing every weekend this fall and winter. We're always down for a new weekend uniform! Keep scrolling to see the cool photos, plus our picks for getting the look. Crushed velvet adds a warm, cozy feel to any look. An Adidas tee gives this look a sporty-cool edge. 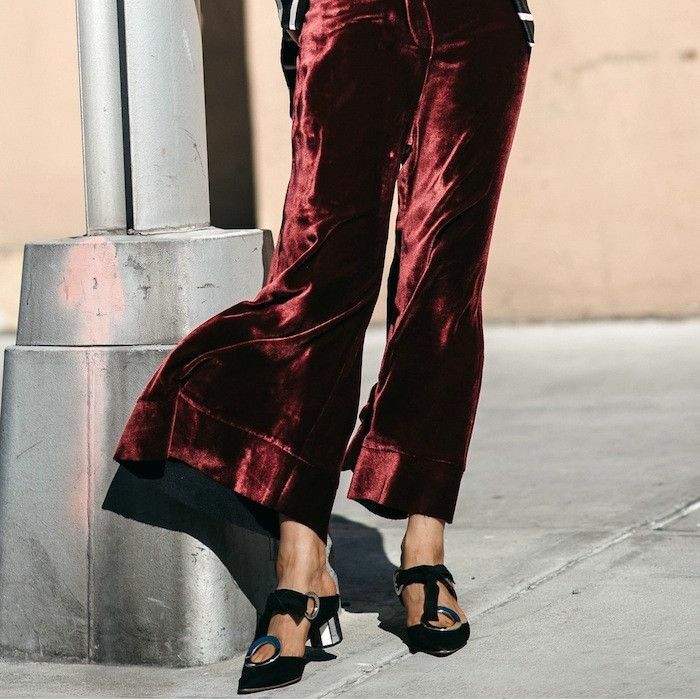 These are statement velvet pants worth investing in. How would you wear a pair of velvet pants? Share in the comments below!